We named the top 50 burgers in Chicago and you voted for your favorites to go bun to bun. 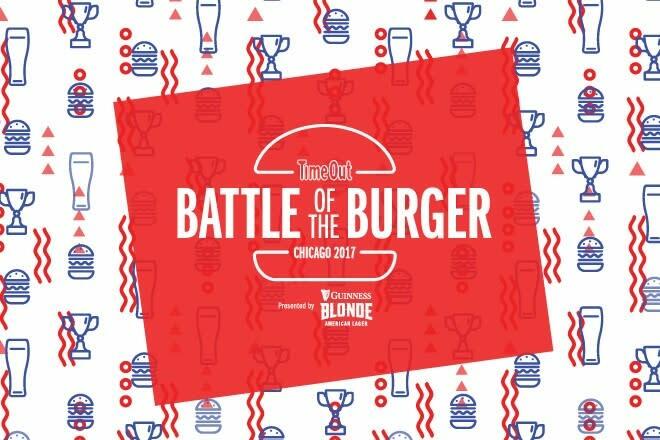 Now it’s time to crown the champ at Time Out Chicago’s Battle of the Burger presented by Guinness Blonde. Get your tickets and eat your way through some of Chicago’s very best patties before casting your vote and naming the winner. Join us at Daley Plaza for a perfect summer evening filled with burgers, Guinness Blonde, friendly competition, music and giveaways.